Pioneer launched a stack of new sets this year for CES as well as an iPhone 5 connectivity solution for those left hanging since upgrading to Apple’s latest phone. 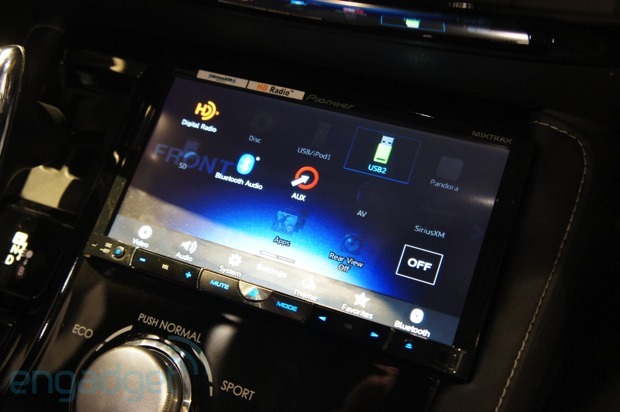 We’ve seen the headunit specs so we thought we’d give you a pic tour of the newest devices as well as a short clip of us sitting in the custom Lexus CT 200h playing with its ridiculous system. The centerpiece of the system is the AVH-X8500BHS receiver (above) and a custom Steampunk-inspired sub enclosure loaded with six PRS D800 amps. End result? hair-moving, skin-creeping bass and volume. We’re digging seeing all the AppRadio expansion to Pioneers’s line and can only hope we see prices drop — and even become pack-ins — for the now rather expensive connectivity cables. This may not have been a huge mobile show for most companies (what with MWC just over the horizon), but Huawei certainly has lots to talk about. The CEO of the company’s consumer business group Richard Yu will be hitting the stage today and bringing along some goods to show off, too. 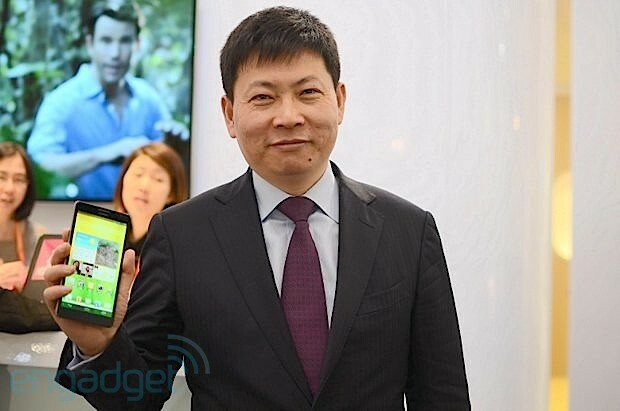 Update: Unfortunately Yu had to pull out at the last minute, so instead we will be meeting Huawei Device CMO Shao Yang at the same time slot. Stay tuned! Update 2: False alarm! Richard Yu will be joining us, after all! Over the years, our ears have been treated (or tormented, depending on perspective) to a variety of rumbles from a multitude of wub-wub headphones. 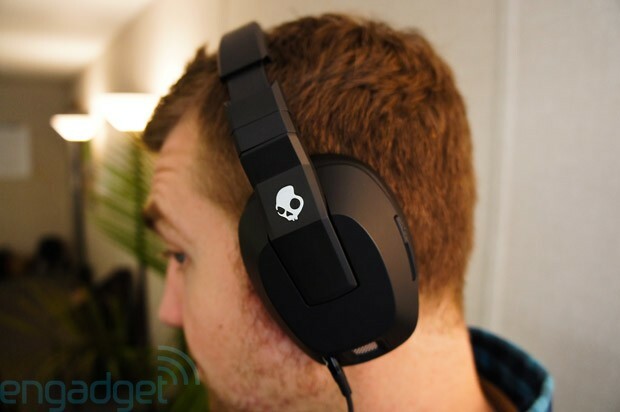 Typically, it’s the gaming headphone sector that gets first dibs, but Skullcandy’s Crusher is aiming to hit a few more targets. We had a chance to listen to a production version of the impending cans — slated to ship in March for $99 in black, white and red hues — and we were pleasantly surprised with what we heard. Er, felt. Actually, both. It’s battery powered, but it’ll continue to deliver tunes even if the cell powering the thumps goes dead. Moreover, it automatically disables when the music stops, preventing you from blowing through too many extra batteries. There’s a slider on the rear that raises and lowers the sensitivity of the rumble, and we preferred it at about half-cranked. Amazingly, the sensation was actually enjoyable — and moreover, accurate. We probably wouldn’t listen to an entire album with the vibration on, but for movies and games? Yeah, that’s clearly the sweet spot. Better still, the conventional 3.5mm headphone jack means that it’s as universal as these things get, and the overall audio quality was very much on par with what we’d expect for a Benjamin. Hit up the gallery below for a closer look. This entry was posted on January 10, 2013, 5:32 pm and is filed under Mobility. You can follow any responses to this entry through RSS 2.0. Both comments and pings are currently closed.